How far would you go in search of beauty…? So I’ll share with you my experiences, when trying to get stuff from sellers who don’t ship orders to where I am based: in the UK. And by ‘stuff’, I actually mean Chanel. 😛 There are a whole bunch of PFS companies out there, but I’ll only talk about the ones I’ve used: Bundlebox (in the US) and BPM (with bases spread through a whole bunch of European countries). No complaints here, really. Very smooth sailing, and intuitive online system. You make an account with them, for which I believe there was a yearly fee (about $15 if memory serves, so nothing exorbitant), and they set you up with your own US address. You then buy your stuff online, and have it shipped there (*). 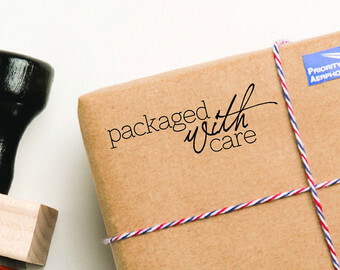 Bundlebox will notify you once your parcel has arrived – and the nice thing is, if you order things from multiple places, Bundlebox can repackage everything into a single shipment. Once this has been done, you just press a button on your online account, and have the whole thing sent to you. Very pricy. So have a think about how badly you want your item. In my case, I don’t really regret doing it, since I am now the proud owner of these little beauties, otherwise unavailable in the UK: from the ‘Energies et Puretes’ Spring 2017 collection, I’ve got the Jardins de Lumieres eyeshadow quad (the cooler-toned one below), and the exquisite Plisse Lumiere de Chanel highlighter. I also used Bundlebox to get the Chanel Eyelash Curler below, as well as the Pinceau Ombreur / Contour Eyeshadow Brush #20, which as far as I can tell, do not exist in the UK, either one. Probably going to keep this entry short(er). On the plus side, for me there was no insane amount of tax to pay here, unlike the US products. Also, once dispatched, the blusher arrived fast, safe and sound. No issues there. However… BPM’s online system isn’t the easiest to navigate (though it’s still doable), since it seems to alternate between a system of credits to load onto your account (and use for forwarding your parcel), and actually using PayPal directly to pay. There was also an incident where the courier tried to deliver my Chanel parcel to BPM… yet apparently there was nobody there to receive it during working hours, oddly enough (?). So I had to phone up the Belgian courier company from the UK, and arrange a redelivery… On the next attempt though, the parcel was handed over, and then forwarded to me, with no further problems. So… let’s say it wasn’t as streamlined as Bundlebox in the US, but in my case, BPM was cheaper – so I guess there’s a trade-off. Have a look online and see what other such services you can find, and if you see anything good, I’d appreciate to know!